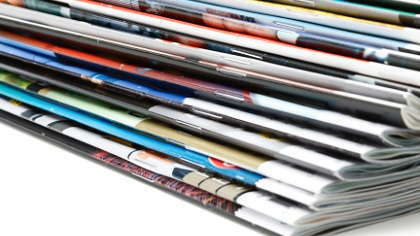 7 Steps to Writing for Magazines, for Money! It may be difficult, but you can earn a living, or supplement your income, by being a writer for traditionally published or online magazines. Close your eyes and picture the scene. There you are, sitting in a lovely old French farmhouse, with a view stretching out over the local vineyards and orchards, scribbling away with a nice glass of red wine! For me, most of the above is true, minus the bit about the wine that is, or I would never get any work done. I moved to a lovely old farmhouse in March 2002 from the UK and although I have been a writer all my life, I set up officially in recent years. I am a full time writer, columnist, author, general word-bird and photographer. I think writers are born with a pen in their hands and they know it too. They are more than aware of their passion and ability to move people, from responses from simple letters written to friends. If you have an itch, that only words can scratch, perhaps it is time to consider looking seriously at making money from the craft you so clearly love. There are lots of ways to advance this business idea but I think some fundamental rules apply to those looking to earn a living, or supplement their income, from traditionally published or Internet magazine writing. I have compiled a list of pointers to get you going. Move one step closer to seeing the money and start working on them today. If you are particularly driven by all matters foodie, consider being a recipe writer and food journalist. Or perhaps a reporter on traditional dishes from the four corners of the earth. Maybe even a critique for restaurants and hotels in your area. There are too many avenues to begin to list them all, but bear in mind there are very few magazines and journals that don't have a recipe in there somewhere and everybody has to eat Choose a subject that rings your bell. One that you have good background knowledge of already will be second nature to start writing about. Once you have made a start writing for money, you will find it is easy to expand to other topics. Where are you coming from? Are you going to report on the subject or be innovative and tell others about your ideas? Would you prefer something along a fictional line? Maybe Q and A and FAQs is your bag. Dont rule anything out, but get acquainted with a comfortable angle by trying lots of different types of writing on your chosen subject. The more relaxed you are, the better your quality of work will be, because it will flow more naturally. Once you have a focus, look into that field in great depth. See what is available and topical at the moment, on paper and on the Internet. It will help to know what people are reading and interested in, before you put pen to paper. Do you feel your line of thought has not been covered yet? Perhaps that could be a door of opportunity opening for you. Websites are not difficult to get up and running these days consider setting one up for your chosen subject, with the possibility of an accompanying newsletter. It might pay dividends if you could refer editors to your site to view your style and see examples of your work. Now we come to the fun bit. There are more websites for creative writing and paying and non-paying markets than you can shake a fountain pen at. I will give you one to get you started. Have a look at http://www.writersweekly.com I have been a fan of this site for a long time. You will find invaluable, practical advice here and perhaps catch your first glimpse of paying markets. There are many other sites in the same vein, not perhaps to this standard however and you have to do your homework according to the area you want to work in. Research is, without a doubt, one of the biggest bugbears, but if you are committed to a career in writing, you might as well make it your best friend, because you are going to be doing an awful lot of it! I can imagine the daily frustrations of an editor. Especially when he has taken the time to lay out, in no uncertain terms, the how/why/where and what fors he seeks, in an article for his magazine and yet so many conform to none of the above. For all of the magazines and publications you approach with a view to submitting a piece, there will be writers guidelines. Read them, digest them and carry them out to the letter. Your piece might be amazing, with bells on, but if you dont comply with the subject line or the addressee, it will more than likely end up in the recycle bin! It is a laborious task going through them and doing as you are told, especially when your piece is clearly the hottest thing on the market. Remember, if it were that easy, everybody would be doing it and besides, there has to be some fun in the chase. Once you start hopping around on the Internet, you will see there are numerous opportunities and places to submit a potential piece of work to. Keep a log of your submissions, query letters and published pieces. Create an address book of all the editors, fellow writers and useful contacts you make. Sometimes it is who you know, combined of course with what you know, but a useful contact can give you a good leg-up. Don't be put off by the response times either. I have absolutely no patience whatsoever - was never born with any - but I don't bat an eyelid with a "response within 4 months" note in the writer's guidelines. Make up files that allow you to review what you have sent to whom and keep on top of it. Don't forget to have a strong signature line and a good mini-bio to submit with your piece. There is no point in somebody reading and enjoying your work, but not being able to find more of the same. Also, keep at it! It might take months of hard work before you start to see positive results. Remember, a writer must write something every single day, without fail! It keeps your hand in and makes you look at new angles and ways of self-expression. You have to be topical, expressive, interesting and informative. Test the water by submitting your work to article bank websites and I am going to be terribly generous and give you another link - you are so lucky - http://www.family-content.com. By tracking how many interested parties there are in your articles, you will see where you strengths and weaknesses lie. Build on all the information you receive and focus on becoming sharper and better at the craft. It is a big old reading world out there, don't be daunted, be focused, be clever and most of all, have fun! Can You Write? Try Freelancing!